Before committing to a granite or quartz countertop, learn what distinguishes these two rock star materials. 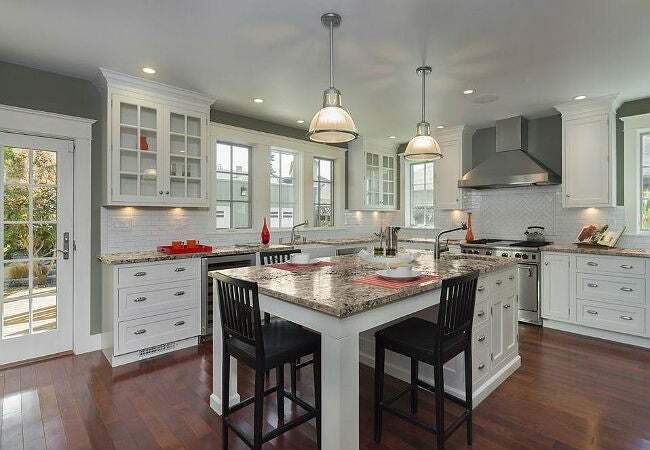 If you’re looking to remodel your kitchen with new countertops—either to boost the beauty of the space or the resale value of your home—granite and quartz are probably near the top of your list of potential materials. Both are sleek and high-end, favored by homeowners for their timeless elegance and rugged durability, but their differences are more than skin deep. 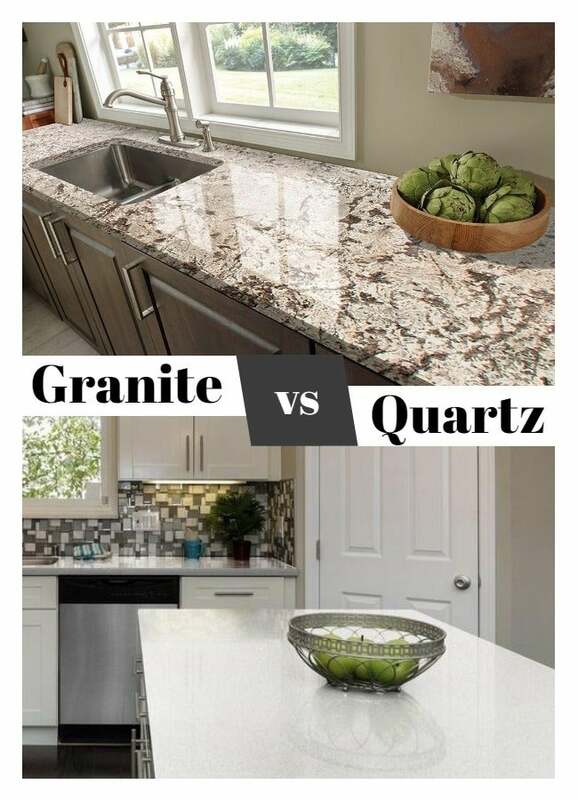 Read on to see these two popular countertop materials go head to head, granite vs. quartz. The following key comparisons can aid you in choosing the one that best suits your style, budget, and needs. 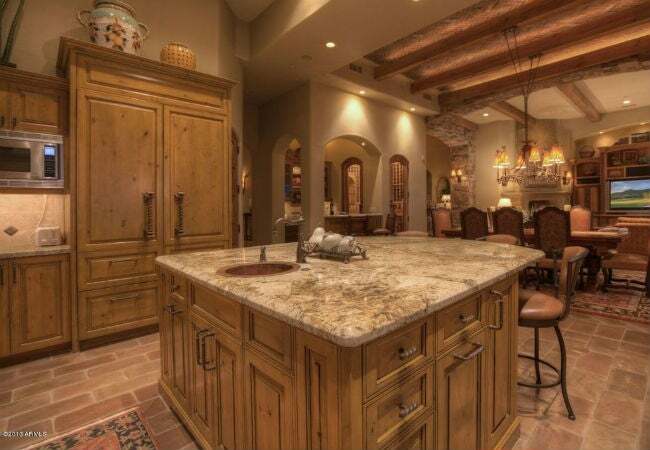 Granite is 100 percent natural. Granite is a natural stone comprised of quartz, feldspar, and mica, formed over millions of years deep below the earth’s surface. It’s extracted from quarries as large rocks, which are then cut into slabs for home design applications. 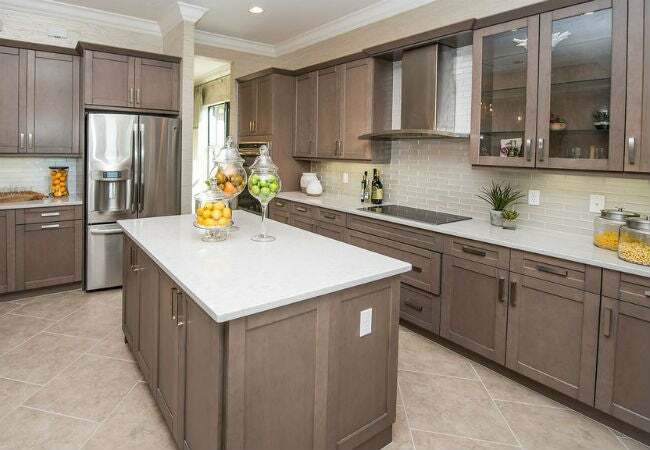 The quartz used for countertops, on the other hand, is an engineered stone consisting of 90 to 94 percent naturally occurring ground quartz and another 6 to 10 percent polymer resins and pigments. Although the ground quartz component is mined directly from the earth, it must be bound with manmade resins to form quartz slabs. Because these resins contain chemicals that can emit the pollutants known as volatile organic compounds (VOCs), folks who want optimal indoor air quality will feel more comfortable with granite, which won’t release VOCs. Granite offers more visual variety. Both granite and quartz countertops come in a variety of hues and patterns to suit the unique color palette of your kitchen. However, the interlocking minerals of white feldspar, gray quartz, and black mica in granite gives granite countertops natural striations and swirls that vary in shape and size from one point on the slab to another, resulting in a visually varied look. Quartz doesn’t naturally contain these variations; it tends to look more flecked than vein-y, and maintains a consistent pattern across the slab without much variation—a plus if you want a uniform-looking countertop. The lighter patina of quartz also conceals seams (gaps between adjacent slabs on the countertop) more effectively than granite, whose darker patina (from its mica component) makes seams more noticeable. Which you choose depends on what else is going on in your kitchen. If for example, you’ll have a simple backsplash and paint, you may want a granite countertop as a focal point. But if you’re leaning toward other patterns and textures, more minimalist quartz may be the perfect complement. Granite has an earthier texture. The mineral crystals in granite, often bearing microscopic fissures (small raised lines with a pronounced color), give it a slightly coarser, earthier texture than quartz. If you’re after a kitchen with a “back to nature” quality, granite is a great choice. Since quartz is bound with resin, it doesn’t have the crystalline structure or natural fissures of granite, giving it a smoother texture. The more finely ground the quartz, the glossier and more polished the overall appearance. Quartz is generally less expensive. The cost of a granite or quartz countertop depends on the thickness of the slab, the color, the edge profile (e.g., square, rounded, or beveled), and whether or not the countertop will house a sink. But with the exception of the cheapest granite, quartz is generally less expensive—$70 to $100 per square foot installed compared with granite’s price range of $60 to $270 per square foot installed. 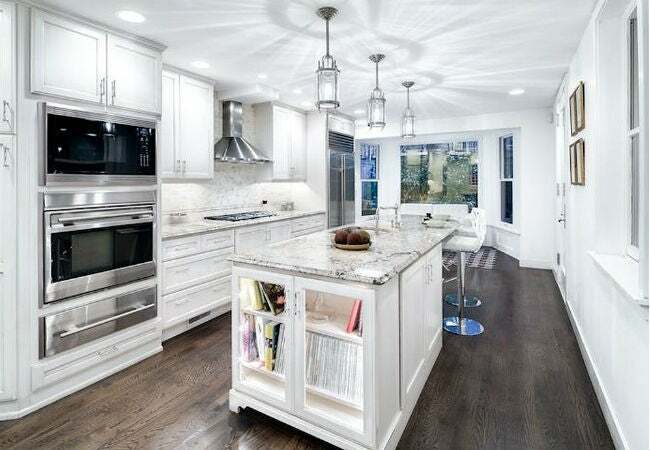 For an average-sized kitchen with 30 square feet of countertop area, a quartz countertop would cost $2,100 to $3,000 installed versus $1,800 to $8,100 for a granite countertop. This cost differential is due to the months or even years it can take to locate and quarry granite, and the higher costs associated with transporting granite from Brazil, Russia, and India, where most of the world’s supply is found. Quartz is more abundant and is often mined in the United States (primarily in Arkansas)—and the savings passes on to you. Quartz is more resistant to moisture and staining. Both quartz and granite are resistant to heat, scratches, and moderate impact, not to mention they’re truly rock-hard—ranking an impressive 7 out of 10 on the Moh’s mineral hardness scale. But because quartz is non-porous and water-resistant, it requires no sealant to be virtually stain-proof. Granite has a porous surface that absorbs food spills and readily becomes stained unless it is finished with a water-and oil-repellent sealer. It’s recommended that granite is sealed at the time of installation and once a year afterward. This DIY-friendly job entails spraying the entire countertop with a zero- or low-VOC granite sealer (available for $7 to $15 at home centers), letting the sealer soak in for 20 minutes, wiping down wet patches with a soft, dry cloth, and then letting the countertop dry for 48 hours. Note: Neither material is suitable for outdoor kitchens because direct UV rays from the sun can discolor them. Quartz is less of a bacteria magnet. If left unsealed, a porous granite countertop can quickly become overrun by bacteria, mildew, and mold—the last things you want in your kitchen!—if you’re highly conscientious about cleaning. A sealed granite countertop keeps germs from penetrating the surface, but because the sealer gradually deteriorates over time, germs will again encroach. The non-porous surface of quartz keeps germs from penetrating the surface without sealing. That said, you ou can keep either type of countertop at its hygienic best by cleaning it daily with either a commercial stone cleaner or a homemade cleaner safe for granite or quartz. Spray the entire countertop and then wipe it down with a microfiber cloth or a soft sponge (preferably while spills are still wet), then be sure to wipe up any remaining cleaner with before it dries to avoid white streaks. Quartz slabs cover more surface area. The average granite slab, measuring 105 by 54 inches, is narrower and shorter than a standard-sized quartz slab, at 120 by 55 inches, or a jumbo-sized quartz slab, at 129 by 65 inches. While that might make granite slabs slightly easier for installers to handle, you’ll need more slabs to cover the same area, and more slabs equal more unsightly seams. Wider and taller, quartz slabs allow you to cover small and large countertop areas with fewer slabs. Both granite and quartz slabs are available in widths ranging from 0.75 to 1.25 inches. Neither material is DIY friendly. Do-it-yourself installation isn’t recommended for either granite or quartz due to the hefty weight of the slabs. Both weigh around 19 pounds per square foot, or 570 pounds for a 30-square-foot countertop—the weight of two refrigerators!